The federal government is testing a name-blind recruitment process in an attempt to knock down barriers for job-seekers from diverse ethnic backgrounds. Treasury Board President Scott Brison said the pilot project will make the hiring process more fair and inclusive, and lead to a more diverse and strengthened federal public service. "This will benefit Canadians for generations to come," he said after making the announcement in Toronto at the Ryerson University Student Learning Centre. The pilot program will involve six of the government's biggest departments: National Defence; Global Affairs Canada; Immigration, Refugees and Citizenship Canada; Public Services and Procurement Canada; Environment and Climate Change Canada; and the Treasury Board of Canada Secretariat. The project, which will hide applicants' names from hiring managers during the initial screening process, will compare the results with outcomes from traditional applicant shortlisting. Brison said research has shown that English-speaking employers are 40 per cent more likely to pick candidates with an English or anglicized name than an ethnic one. Brison said the initiative is part of the government's approach to promote gender and ethnic equality. "We have made diversity and inclusion touchstones for our government," he said. A government news release said the name-blind technique is already practised in a number of European organizations, including the British Civil Service, to avoid "unconscious bias" in the hiring process. 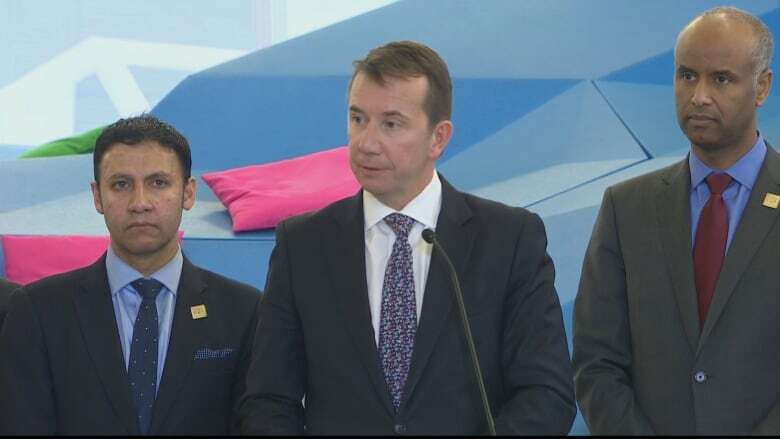 Brison said results from the pilot project will be ready in October, and that the process could be expanded to other government departments and agencies. "In a country as richly diverse as ours, name-blind recruitment is not simply a progressive affectation, it's about a clear-eyed, hard-headed effort to get the best out of our population and to recruit individuals to public service that can benefit all Canadians," he said. Citizenship, Refugees and Immigration Minister Ahmed Hussen, who first pitched the idea, said he hopes this initial pilot will encourage other governments and the private sector to follow with similar practices. Should Canada change the names of streets and monuments that honour contentious figures?